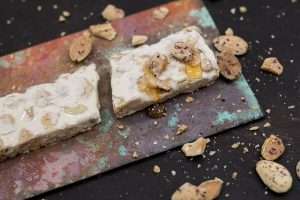 Turron is a sweet delicacy, a kind of almond nougat, originally brought to Spain by the Arabs. 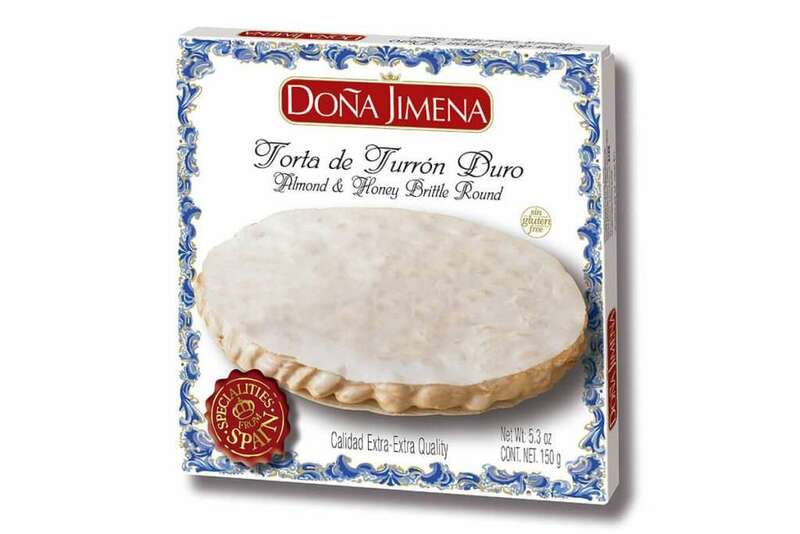 Torta de Turron is a round flat 'cake', made using a mixture of Marcona almonds and honey with an egg white wafer to hold it together. 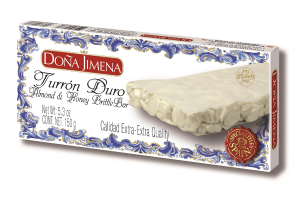 This is the Extra Quality Turron Torta from Dona Jimena, a famous brand in Spain with a traditional Andalucian-style tile decoration on the box. 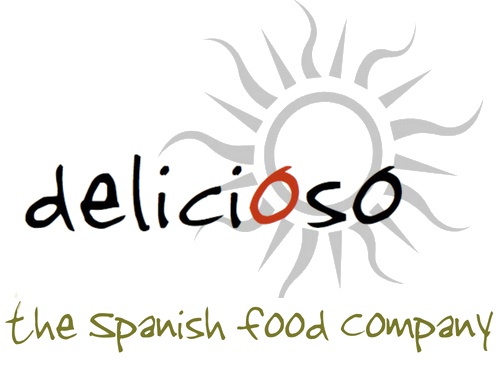 NUTRITIONAL INFORMATION per 100g: 2311kJ / 553kcal, fat 33g of which saturates 2.8g, carbohydrates 50g of which sugars 40g, protein 14g, salt 0.03g.